I recently saw this video and it has made me contemplate some of my parenting techniques. It left me feeling conflicted, and I’ve spent considerable time reflecting on it. I see a confident child who is empowered and full of self-worth. It’s so amazing to watch! However, imagine if the person who filmed this had seen the act of climbing on the counter and immediately stopped it? This wonderful, empowering moment would have been lost. Then I thought if I had walked into the bathroom and caught my daughter standing on the counter top, I probably would have intervened and asked her to climb down. As an early childhood educator, I frequently reflect on situations, and I seek out their value. Often it’s easy to see the benefit of letting scenarios run their course. However, I must refer to something I’ve shared before… it is different when it’s your child. 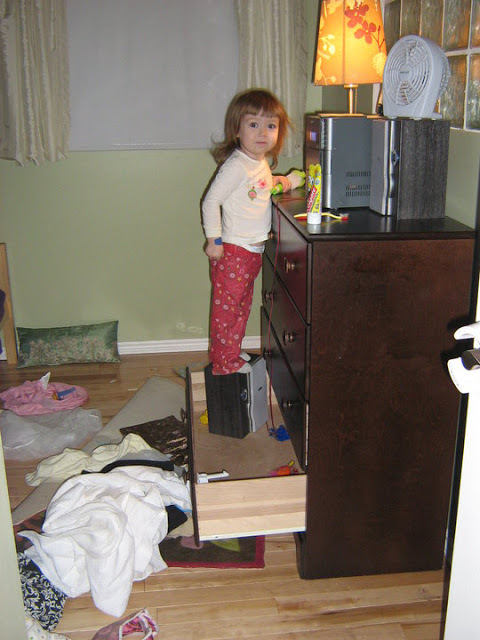 When my daughter was 2 1/2 I had walked into her bedroom and discovered that not only did my daughter figure out the child latch on her dresser drawer, but she emptied the drawer out, moved the speaker (so she could stand on it of course) and was playing with the stereo and the light. After taking a picture, I had directed her to clean up the “mess” and instructed her on how dangerous this was. One could say that this demonstrates a clever, problem-solving child. However, at the moment, all I could see was disaster and injury. I want to say yes. I try to say yes… but then the mom in me worries about bumps, bruises, and broken limbs. This conflicts with the early childhood educator in me who is more concerned about the broken spirit and the shattered sense of self-esteem. Once again, this is me… the deliberate mom, reflecting, questioning, and challenging what I do and why I do it. After watching the video and reflecting on my parenting techniques, I realized that I am bordering on smothering my child. Her rebellious outbursts are perhaps my fault because I spend too much time guiding and redirecting and not enough time observing and enjoying. 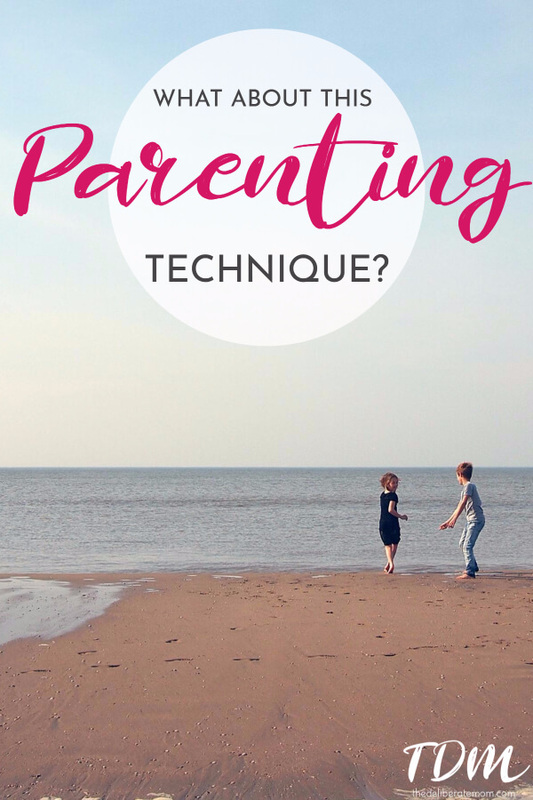 Could I have perhaps missed out on an essential parenting technique?! I imagine that the person who filmed this video is someone who is okay with pausing before reacting. Perhaps if the child wasn’t having such a meaningful encounter, the parent would have intervened. So, I’ve decided that I’m going to pause and start saying yes more often. Whenever I capture a moment (hopefully with camera), I’ll share them here with you. Today I pledge to pause and say yes. I would love it if you would join me and say yes too! great post and video. Reflecting is such an important and powerful parenting tool. I am sitting and feel queasy wondering if she will not fall and hit her head. I have seen this about 20 times before and still have a visceral reaction. You will also notice there is another child that sounds much younger than the little girl in the mirror. I think that having a second child takes the pressure off the first, the pressure of mother seeing everything. Your child being on the dresser drawer is very dangerous to me, moreso than the girl in the video. If the dresser had fallen on her, it likely could have killed her. You were right in being worried. A little child climbed up a bookcase in the closet and the bookcase fell, “hanging”the child. The parents found the body too late. So, twenty years later, all bookcases in that town were attached to the wall with an L-bracket, all dressers, too. I allowed my children to do things that other parents were aghast over. My three children had their own personalities and levels of fear, but not one of them ever let me have a moment’s peace while they were awake and trying out all their new kills. Some things I could not let them do. Others they did before I found out. Often, I caught them in the act. My daughter was 20 months old when we moved into this house with ten foot ceilings. She, of course, tried the stairs first thing! I taught her how to hold on to go up, and how to slide down on her bottom to get down, holding on then. All my friends insisted I get a baby gate for top and bottom. Her bedroom was downstairs and her older brother and sister were upstairs, so it would have been impossible to keep her from danger by that route. Teaching children how to navigate danger is best, SOMETIMES. My children knew how to do things that horrified teachers and adults. They grew to be very confident adults and have confident children. Thanks for the comment, today. Ha! That’s awesome! I have a son we call, “The Rubbermaid Boy.” Sometimes, you just have to let go and enjoy the show. That was a hard lesson for me to learn.